History is witness to several extraordinarily productive collaborations. My list begins with Stan Laurel and Oliver Hardy. Then there is the famous Karl Marx-Frederick Engels joint efforts that yielded some of the basic Communist literature, including the celebrated Communist Manifesto. The study of the life of Dr Samuel Johnson is inextricably woven with that of the life and work of James Boswell. Then there was the renowned husband-wife team of Sidney and Beatrice Webb, the founders of the London School of Economics and also the Fabian Society. One such unique collaboration was the one that obtained between Sardar Patel and his Secretary in the Ministry of States. The great freedom fighter and the erstwhile upholder of the Raj forged a unique team to build the foundations of the Republic. Louis Mountbatten, Mahatma Gandhi, Jawaharlal Nehru and Mohammad Ali Jinnah hog the limelight in the interplay of events leading to the independence of India in 1947. There were other players too, notably Sardar Patel and Maulana Azad who also played significant roles. However, there was, as brought out in the last article in this series, another participant who played a vital role, but never received the recognition he deserved. That forgotten figure is Vapal Pangunni Menon. V P Menon was the Constitutional Adviser to the last three Viceroys. He was the only Indian in Mountbatten’s inner team. It was Menon who translated into reality Patel’s vision to get the Princely States to accede to India before the date of independence. He knew how Mountbatten was the ideal person to facilitate this. After the British had departed, VP understandably decided to seek premature retirement to return to his home in Bangalore, a town he loved. He knew the Congress leadership would misconstrue his contribution to the Raj, particularly his closeness to the last three Viceroys. Sardar Patel, however, had the experience of having dealt with VP in the last few years before the transfer of power. As an extremely astute judge of persons Patel realized that the man had the rare gift of unfailingly delivering results, whatever the task assigned to him. Patel, a very clear-sighted visionary, had set for himself the mission of integrating the 565 princely states into the Indian Union. He could foresee the potential for a right royal mess was looming if this task was not accomplished speedily. The departing Brits had deliberately laid the mine trap by leaving to each ruler the option to stay free both of India or Pakistan. So he decided to avail of the services of VP Menon as Secretary in the newly created Ministry of States to help him checkmate the wily imperialist designs. Between them, they cajoled, persuaded, and even threatened the difficult kings and nawabs to join the Indian union. As it happened, they succeeded admirably, barring states like Junagad, Kashmir and Hyderabad. These facts and events are well documented, in Menon’s own work The Story of the Integration of Indian States which he wrote after his retirement on the suggestion of the Sardar. The partnership between Patel and Menon was of a rare kind. After Independence almost every Indian politician was allergic to civil servants, because of the role they supposedly had played in bolstering up the British Raj. Many Congressmen had demanded stripping the privileges enjoyed by them or even disbanding the ICS and allied services all together. Their chief grudge was the role they played in imprisoning Congress leaders. Nehru himself had grave reservations about them and was reluctant to listen to the civil servants who worked under him. He just tolerated them and seldom relied on. The Patel-Menon understanding was entirely different. It started in August 1946 and was key to the transfer of power, division of India and the merger of the princely states into India. Intensive lobbying of the Princes followed. By August, only a few had failed to sign. Many of the Princes were at first unwilling to sign; but eventually succumbed to a combination of Menon’s threats, bluff, skillful diplomacy and sheer exhaustion. The Nawab of Bhopal threatened to abdicate in favor of his daughter and tried to sign the Standstill Agreement without actually acceding. The Maharajah of Indore blustered and threatened but in the end sent the Instrument of Accession through the post. The Maharajah of Jodhpur threatened to join Pakistan. Mountbatten and Menon eventually persuaded him to join India but not before he pulled a pistol concealed inside a fountain pen and threatened to shoot Menon. By the day of transfer of power, or shortly thereafter, apart from a few States clearly destined to join Pakistan, of the 565 Princely States all but three had signed the Instrument of Accession. These three were Junagadh, Hyderabad and Kashmir. The Patel-Menon relationship was unique. Many a time, Patel asked Menon even to whittle down Gandhi’s resistance to their approach to deal with difficult cases. The iron man Patel used tough methods to coerce the princes, but the question was what would Bapu say? Suppose he called it coercion, a breach of his principle of non-violence? Patel did not like to confront Gandhi, and left the job of convincing Gandhi to Menon. He met Gandhi several times in Birla House and told him that it was all done in the interest of the concerned Princes themselves. Gandhi finally agreed and accepted that it was like administering ‘castor oil to resisting children’. The Sardar was endowed with the art of getting things done, and we established an ideal team spirit between the political head and the officials working under him. When once a policy was agreed upon, the Sardar never interfered or bothered about details. It was as if I was the driver and he trusted me to get him to the agreed destination: he never indulged in ‘back seat’ driving. I kept him informed, morning and evening, and often late at night, of the progress made, and, if specially important or difficult decision had to be made, I consulted him. Otherwise he was content to leave everything to me. When he had his unfortunate heart attack in 1948 I realized the necessity of hurrying through the process of integration, for without him at the head of the Ministry, I doubt whether the job would ever have been completed. I therefore redoubled the speed with which I worked, and fortunately it was brought to a conclusion while he was still in charge. Menon was also very close to Mountbatten. An incident illustrates that closeness between the two. Once Mountbatten, during a meeting, made an injudicious, casual remark to Bordoloi, the Chief Minister of Assam, on whether Darjeeling would end up in India or Pakistan. Bordoloi misunderstood the remark and rushed over to Gandhi and there was consternation among the Congress leadership. The result was Menon had to dash into Mountbatten's bedroom, the next day, full of alarm. Mountbatten was able to explain the whole thing and soon was able to laugh it off with the Congress leaders. Campbell-Johnson mentions that Mountbatten regarded this incident as revealing, as if he had not established such a close relationship with Menon, such that Menon could dash straight into his bedroom, this petty misunderstanding could have developed into a major political crisis. By the time Patel passed away, VP’s work was complete. After his mentor was gone it was Mountbatten who interceded with Nehru to reward Menon with a Governorship. VP was appointed Acting Governor of Orissa but was never promoted as a full governor. Mountbatten had left India and Nehru had none to tell him what good statecraft is. Nehru’s intrinsic meanness surfaced as it did when Patel passed away. An embittered Menon bid goodbye to the world of bureaucracy and politics and left Delhi in 1951. After resigning Menon returned to his beloved Bangalore, moved to his house in Cooks town and the old timers of Bangalore still mention the big car and the presence of Menon in august functions. Patel had bequeathed him the last task to finish. Here he sat and wrote the two great and oft quoted books, The Transfer of Power and The Formation of States. In addition, he contributed frequently to newspapers and magazines. He even wrote the eulogy of CP Ramaswamy Iyer who had once crossed swords over the accession of the kingdom of Travancore. For a while possibly because he had nothing better to do, he joined the managing committee of the Swatantra party as joint secretary. Before he died, in retirement in Bangalore, where I spent many hours with him recording on tape his recollections both of the run-up to independence and of the integration of the princely states, a disappointed man; for Nehru, who was not temperamentally in tune with him, denied him the promotion to a provincial governorship which was his final ambition and which his great services before and after independence had made his due. I salute his memory. From 1765, when the East India Company took over the collection of the revenues of Bengal, Bihar and Orissa, the British had gradually built up in India an administrative and political system hitherto unknown. They brought about the consolidation and unity of the country; they created an efficient administrative organization on an all-India basis; it was they who for the first time introduced the rule of law; and they left to India that most precious heritage of all, a democratic form of government. As long as there is an India, Britain's outstanding contributions to this country will continue to abide. Menon lived in Bangalore for ten years in the house he had owned for thirty years. It was there he sat to write the two great memoirs on the request of Patel. But once Patel was gone, it wasn’t the same VP Menon—the dynamo of energy and drive. It is doubtful if any Indian official or non-official saw the workings of the British Indian Government more closely than V.P. Menon. V.P. attended the Round Table conferences in 1932-33. He was one of the two Secretaries of the Simla Conference called by Wavell in August 1945. Among the Indian Officials who assisted the Cabinet Mission Delegation in 1946 was V.P. Menon. And the grand finale was his single-handed drafting of the Partition Plan as directed by Mountbatten. When I arrived in India in March 1947, I was indeed fortunate to find V P Menon as the Reforms Commissioner on the Governor-General’s staff. I had never previously met him but I found immediately that his encyclopaedic knowledge of the Indian problem and his close contacts with the major Indian leaders especially Sardar Patel were invaluable to me - indeed it is fair to say that without the constant help and advice of V P Menon, the transfer of power as early as August 1947 would not have been possible. In 1966, passed away the now-forgotten architect who built today’s India as per the design that the Sardar handed over to him. There isn’t a public building or road named after him. New Delhi has one named VK Krishna Menon Marg in honor of a man who heaped humiliation on the nation’s head in 1962. But he was Jawaharlal’s favorite. 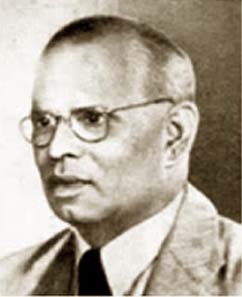 Vapal Pangunni Menon had played an historic role the negotiation and the creation of the Republic of India but he was associated with Sardar Patel. History is unkind to some. It is kind to some others. That is how it was and that is how it will always be. May I conclude this essay on that great administrator with an anecdote dating back to days when VP was on his way to Shimla to look for the Madrasi contacts to help him get a job. As a young man newly arrived in Delhi en route Simla to seek his first job in government, all his possessions, including money, were stolen. In desperation he turned to an elderly Sikh at the station, described his plight, and asked for a loan of 15 rupees to continue on to Simla. The Sardar gave him the money, but when V.P. asked for his address so that he might repay the loan, the Sardarji said that he owed the debt to any stranger who came to him in need, as long as he lived. The help which came from a stranger was to be repaid to a stranger. He never forgot that debt, even on his death bed. At that unfortunate time a beggar came to the family home in Bangalore asking for help to buy sandals as his feet were covered with sores, V.P. asked his daughter to take 15 rupees from his wallet and give it to the beggar. That was his last conscious act. When India was partitioned and Pakistan became a separate state India lost an area of 364,737 square miles and a population of 81.5 million but by the integration of the states India received an area of nearly 500,000 square miles with a population of 86.5 million, India was adequately compensated. While looking up write-ups on VP Menon, I had indeed run into Mr. R P Fernando’s article. Its very exhaustive and well-researched. I rate it to be one single best piece on Menon’s historic contribution. Had I listed my sources in the end, I certainly would have mentioned it at the top. I quoted more from Harry Hodson because he knew Menon personally, first, as his boss as the Reform Commissioner and later as a friend whom he used to visit at Bangalore. My focus, moreover, was different. It is the Minister-Secretary relationship. Patel realized what Menon could achieve and he acted as a perfect facilitator which role Nehru, for instance, was incapable of. All said, a Secretary cannot act beyond the execution of political policy-frame his political mentor assigns to him. At last a good word for the British, and the mouth-piece is none other than V P Menon himself. It is like opening a window in a stuffy room of prejudice. Congratulations. I am delighted that this article highlights the role V P Menon played at the time of Indian independence. I wrote an article entitled 'V P Menon -The Forgotten Architect of Modern India' a few years ago which is available on the web. I notice that this article quotes some extracts form it. Readers may find it useful to be made aware of the original article. I have been reading these series or articles, they are dealing in depth of the subject. I have learned things here that probably I would not have learned even if I had decided to do some amateure research into the history of partition of India. I wonder and admire the in depth detailing of the subject as if those events took place in your presence ! 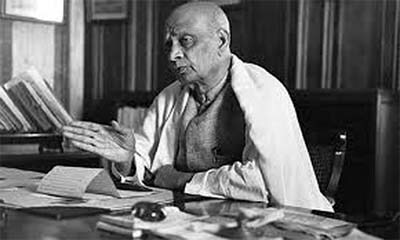 An in depth look at the recent political history and the major role Sardar Patel and his associates played in it. While others may have genuinely different views on portions of it, it is nevertheless very thorough and well presented. The knowledge of this history helps us understand how our current thinking is shaped and how should we proceed in the future. The collection of these articles offer a must reading to anyone concerned with the future of our country.